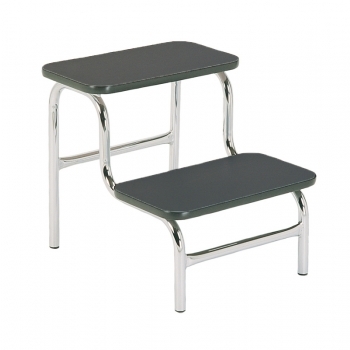 Step Up Stool Double Black/Chrome is integrated with non-slippery vinyl tops and rubber edges. With a safe working load of 140 kg, these specifically designed tools provide assured safety and stability. The first step is 250mm and the second step is 220mm.